Today was spent at the funeral of a dear friend, David Kent, who passed away in the wee small hours of Christmas Eve after a three-year battle with cancer. I cried buckets of tears. Not so much for myself and my own sadness at his loss, but for the sense of Heaven touching Earth that was so apparent at his funeral. It was less a funeral than a "sending off". A salute. A celebration and tribute to the life of a man who lived to bless others. Common themes were repeated over and over: Generous. Kind. Wise. Legend. Fun. Though he and his beautiful wife had no children of their own, hundreds of tributes flooded in about "Uncle David" from the children he loved. He would go to church with his pockets stuffed full of lollies, ready to be shared with any little person who wandered by. 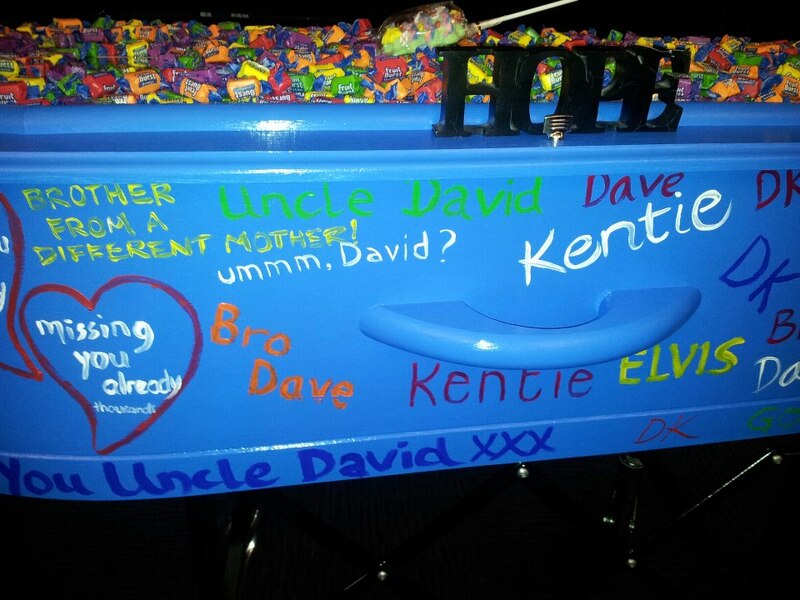 David was known as the Lolly Man, adored by kids of all ages. 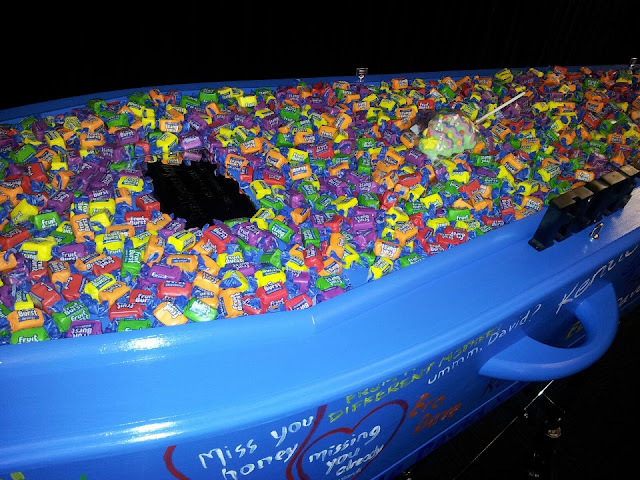 His bright blue coffin was loaded with lollies, one last gift from the Lolly Man. 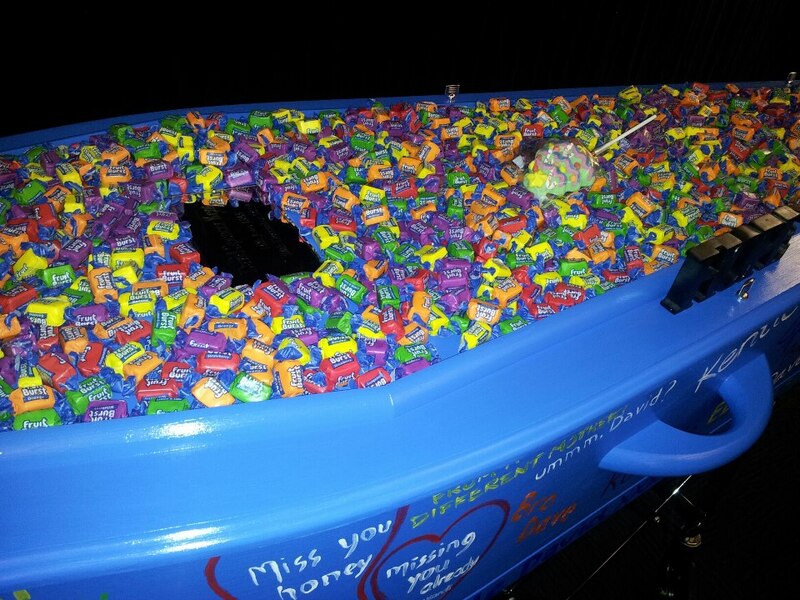 At the end of the service the kids were invited to come and take some lollies; an impromptu lolly scramble had me weeping again as I could almost see David sitting there watching the proceedings from his front row seat in Heaven, with a grin on his face. There was nothing stuffy or stodgey about David. Words are really inadequate to describe David's sending off. With a dripping face, I sat and listened to person after person tell of how David had touched their life with his generosity, his humour, his time, his advice. Some funerals you attend, there is a sense of unrelenting pain and grief. 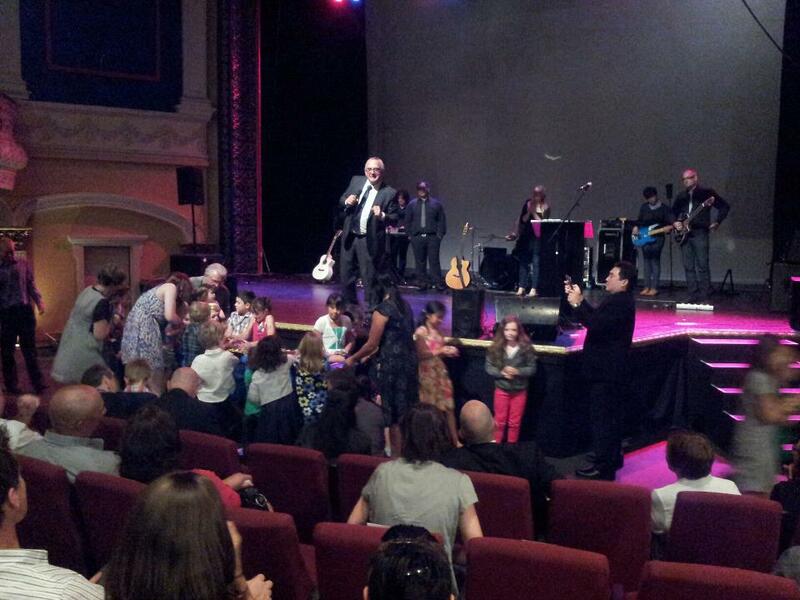 At David's funeral there was sadness, sorrow and loss... but overriding it all was a very real sense of hope. David's faith was the defining thing in his life. Everything he did was to serve and love God and people. I couldn't help but feel as if when David passed through to the next life he left the door open a crack and Heaven was leaking through to us left behind. Or as if Heaven had rushed in to fill the vacuum David left. As David's bright blue coffin exited the building, carried on the shoulders of people young and old who loved and admired this wonderful man, there was a spontaneous standing ovation. As one, we all stood to our feet and clapped and cheered to honour this friend who has run his race, completed his course. "Oh death, where is your sting? O grave, where is your victory?" were the words ringing in my heart. A Bible verse that comes to life in the face of loss. We mourn the loss of a wonderful person from our life here on Earth. 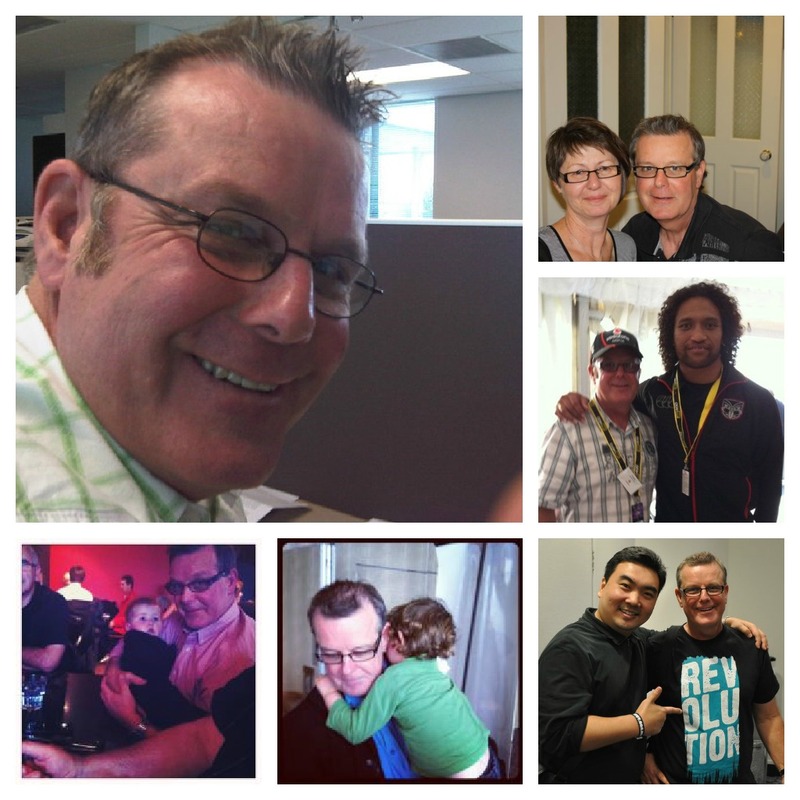 But as his best mate and our long-time pastor Bruce said, "His body may have lost the fight with cancer, but he is now free and healed, and now he's seeing Jesus face to face." It's hard to express to those who may not share the faith we have, just how real Heaven is at these times. When Death is close, Heaven is closer. Heaven has taken away Death's sting. We have Hope. Death is not the end of the story, just the chapter. In those moments when someone has just passed on to the next life, Heaven is almost glimpse-able through the veil. I came away from the funeral feeling like a wrung-out dishrag with all the crying I did; but also with a sense of gratitude for my Faith and the Hope that we have in Jesus. I have a deep sense of being blessed with a wonderful Church family (who give the most amazing send-offs); I am thankful for long-established ties and deep secure roots which are rare and precious. And more than anything I came away with a renewed desire to live my life in such a way that one day, I will have a send-off like David just had. A celebration of a wonderful life. Thankyou David for all that you were to us here in this life. We look forward to seeing you again on the other side. Such a touching post. Thank you for sharing. Wow! What a beautiful tribute. It seems a fitting tribute to a wonderful man. Imagine, a standing ovation at your funeral. Not many can say that. Yep - Christmas was a bit tempered with this news... James had been sitting with him almost to the end, and of course was a vital part of the funeral. He and Shar spent most of Boxing Day helping to paint the coffin - but it sounds like it was an amazing tribute to a very inspirational man.